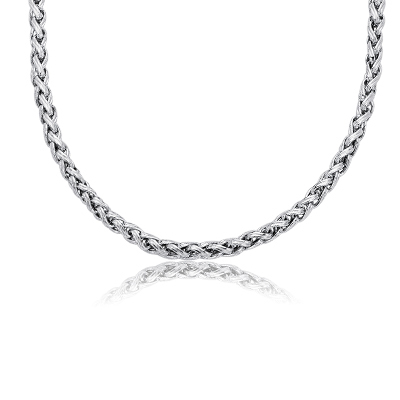 Classico Braided Necklace in 14K White Gold . This stunning Gold Classic Braided Necklace is ornamented in 14K White Gold. This necklace comes finished with an 18-inch 14K White Gold Chain. This necklace will surely add radiance to your jewelry wardrobe.